White Wicker Box Bag with Embellishments. 1960s. Maker: Marilyn Levine, Miami Beach, Florida. 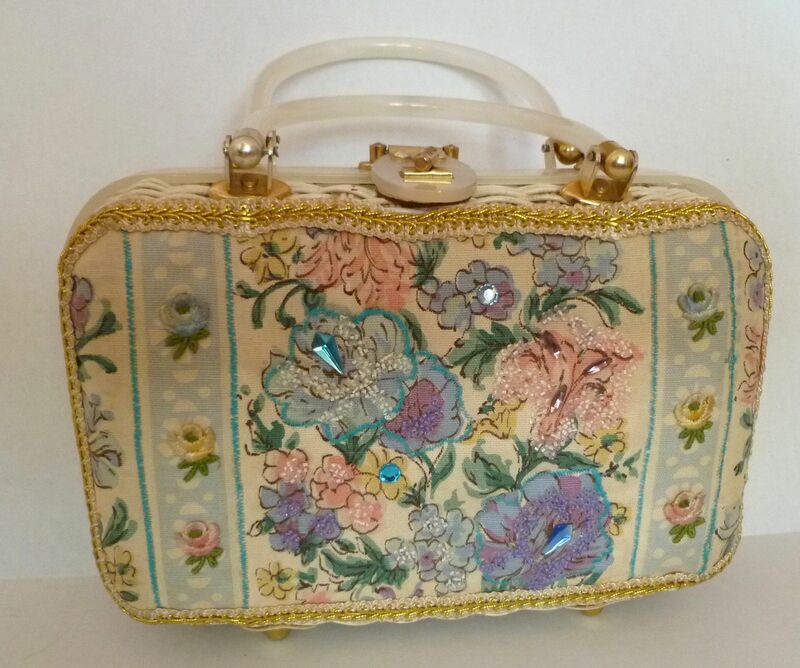 Wonderful white-painted wicker box purse with faux (plastic) mother-of-pearl and goldtone hardware. 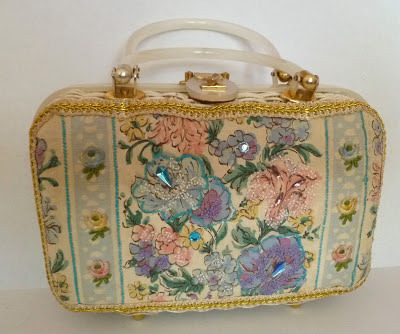 The front is embellished with a lightly quilted floral-print fabric and has decorative stitching, embroidered flowers, seed beads, faux gems and gold trim. Lined inside with vinyl. Two pockets, including one that zips. Four goldtone feet. Some of the best mid-century purse designers came out of Florida, including Faye Mell, Stylecraft, JR, and Midas. Now I can add this one to the list: my very first Marilyn Levine bag!